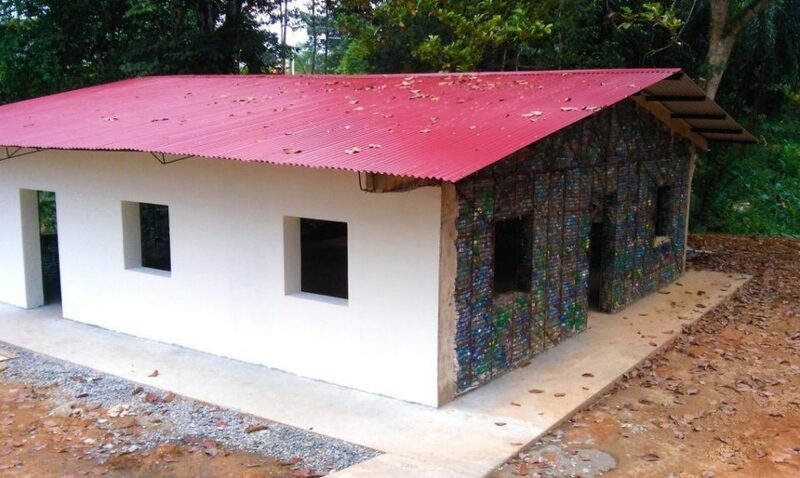 At a glance, it would be impossible to guess that the finished houses in Panama’s Plastic Bottle Village featured walls packed with recycled drinking containers. 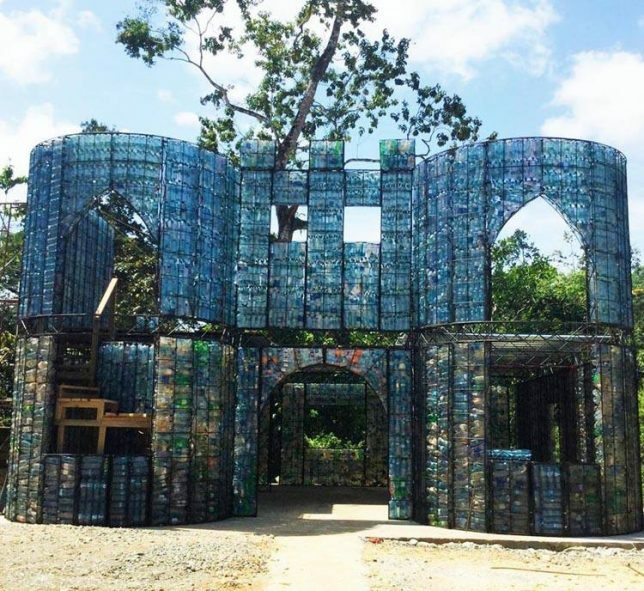 What started as a recycling initiative by a expat Canadian entrepreneur has become an architectural adventure that will ultimately reuse over a million plastic bottles. 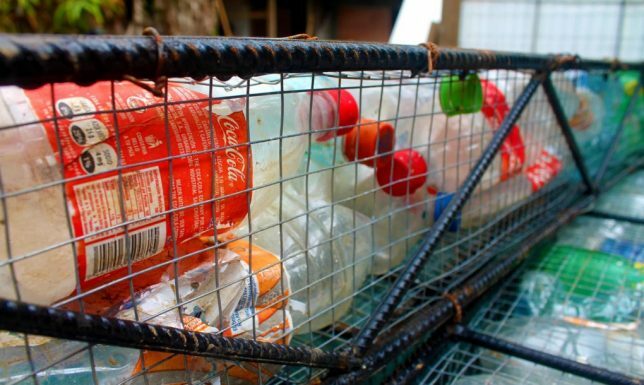 Since 2012, tens of thousands of bottles have been brought to the growing town to make buildings. 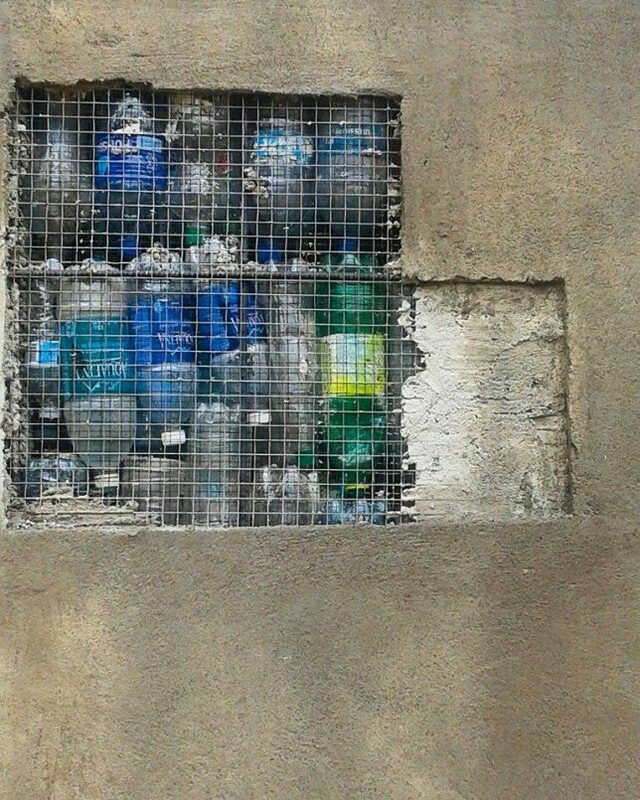 These are stacked in steel cages with stones to fill in gaps and provide rigidity. Cement plaster covers the structures inside and out, making them appear like solid concrete or finished stucco. The bottles, meanwhile, provide insulation while allowing airflow, keeping interiors in the hot climate a full 17 degrees cooler than the ambient outdoors. 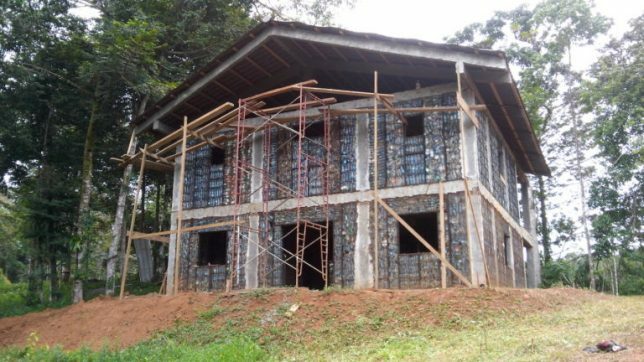 Multiple bottle-based houses already constructed on nearly 100 acres of lush tropical jungle land purchased for the Plastic Bottle Village, which will eventually be home to over 100 such structures. Also in the works: a small public park, retail operation and yoga pavilion. 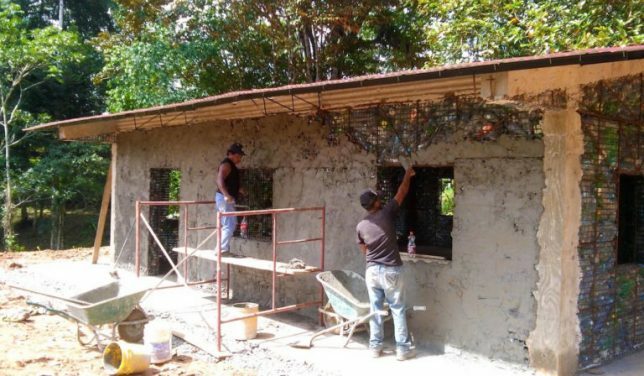 The steel-framed structures provide a balance of strength and flexibility, helping them stand up and support roofs but also to resist earthquakes. 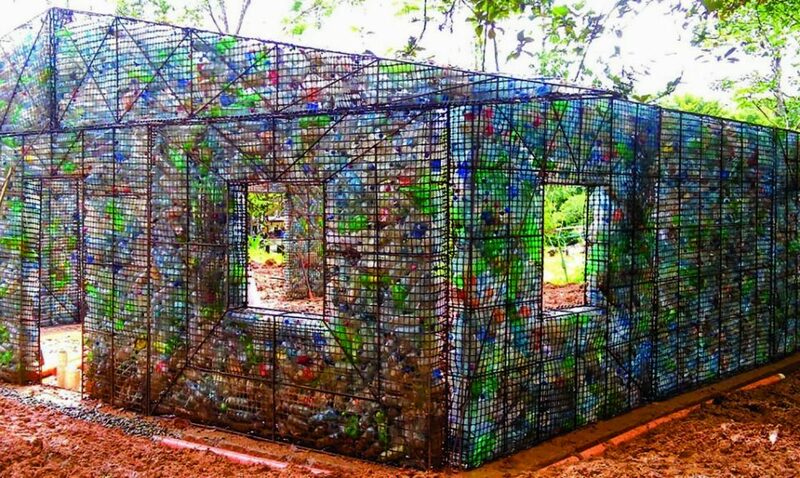 The Plastic Bottle Village is about more than just one place, too: its founder is educating others about how to build with this cheap and ubiquitous material that many see simply as waste.